On Saturday 6th September 2014 we held our second specialist cycling section. 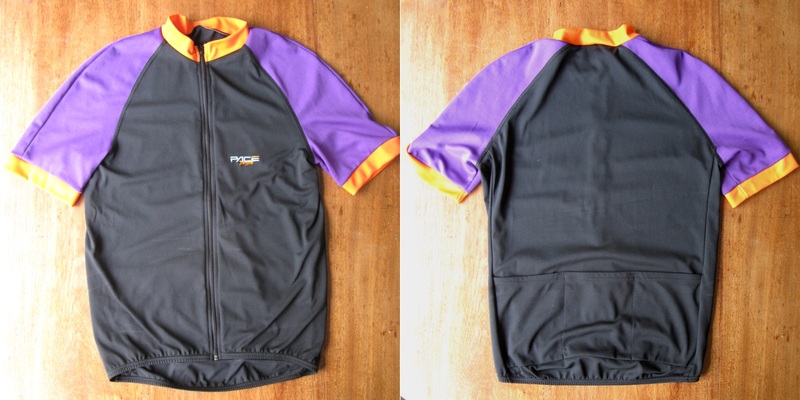 Here are the cycle clothes that were offered for sale. There were some late entries on the day of the sale and they are not included. Please download the text only Auction Catalogue as a PDF. Please call Andrew Wilcox on 01962 738534 or 07813 211451 or email cycles@auctionsinaday.co.uk with any other questions. 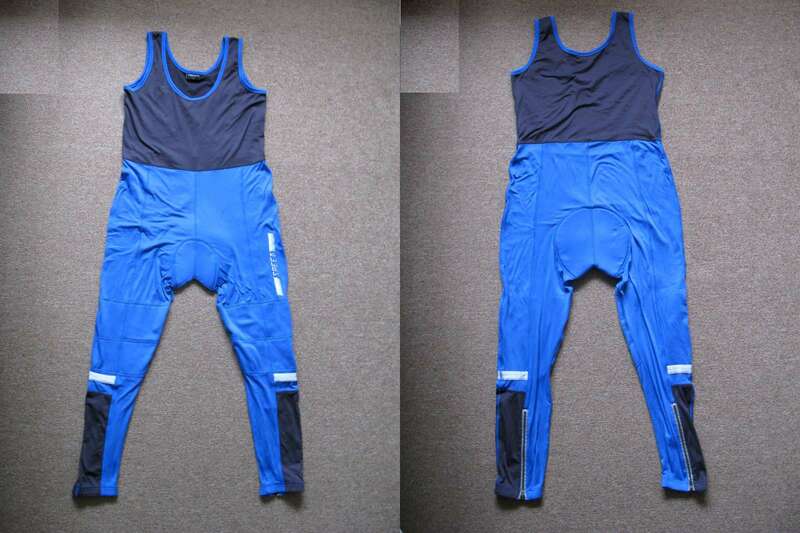 Feroti Sport Speed blue and black Lycra all in one sleeveless bib tights with zipped calves. Marked medium but it fits larger than that. 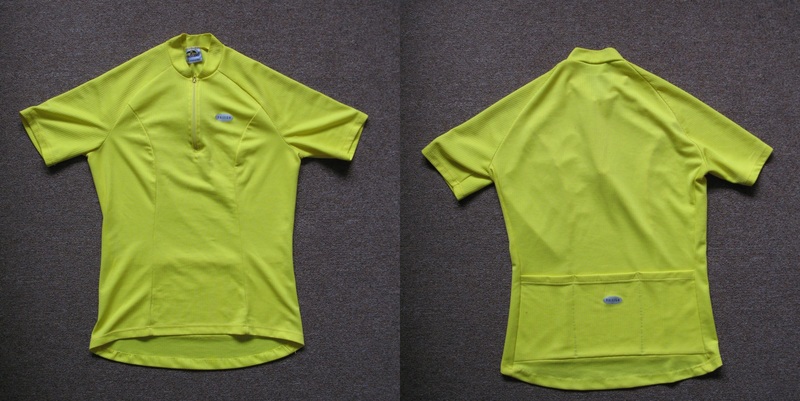 Possibly for triathlons. 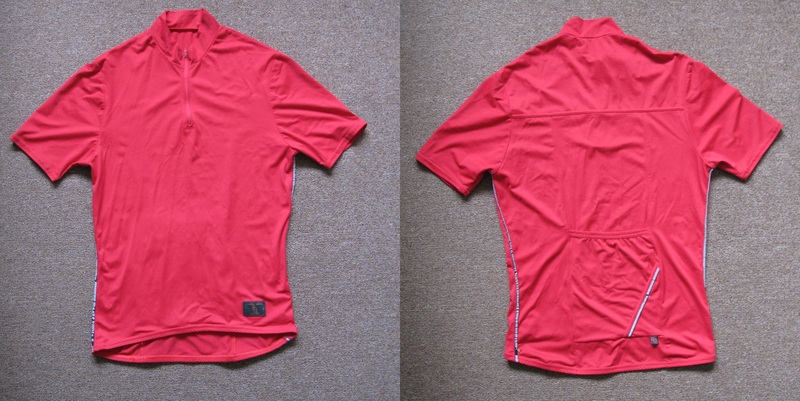 Corinne Dennis England red Lycra cycle jersey in good condition. The reflective cover on the piping is cracked.